The 1948 creation of the State of Israel produced the longest-standing colonial occupation in the modern world. The years 1946-1948, the ‘nakba,’ or ‘catastrophe,’ in Arabic, displaced more than 750,000 Palestinians from their indigenous homeland. More than five million Palestinians now live as refugees scattered across the world. Those who remain behind live as second-class citizens, many in refugee camps within their own former homeland, under a regime of racial and ethnic segregation and subordination comparable to South Africa’s apartheid system. Every year since 1948, Palestinians have lost land, homes, rights and autonomy under Israeli rule. Yet Palestinians have not stopped fighting, and the situation is not hopeless. 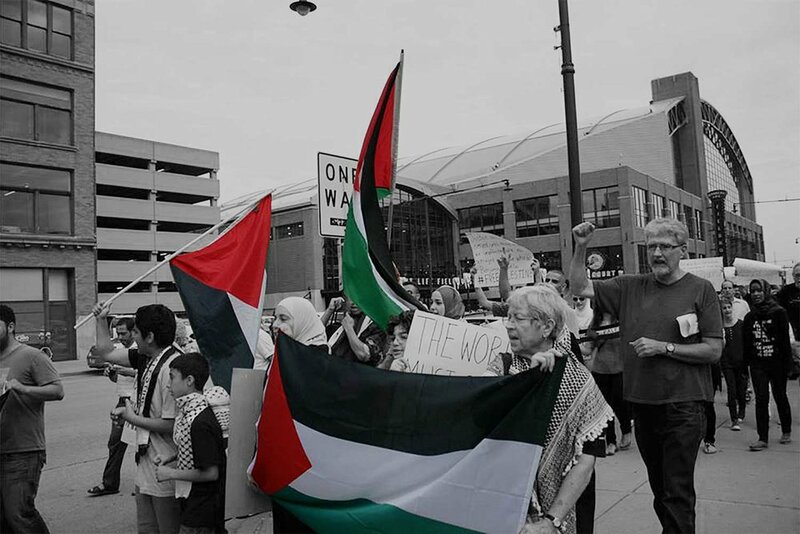 The 2004 call by Palestinian civil society for a Boycott, Divestment, Sanctions campaign against Israel (BDS) has generated one of the great civil rights movements in the modern era. Today hundreds of thousands of people across the world have vowed not to buy Israeli goods, invest in companies that profit from the Occupation, or support sanctions against the Israeli state. In 2009, I endorsed the call for boycott of Israeli universities by USACBI, an association of U.S.- based scholar seeking to challenge the Occupation through non-violent civil disobedience. The call for academic boycott asks U.S. academics not to engage in formal collaboration with Israeli universities until three conditions are met: Arab citizens living within Israel and in the occupied territories receive the same rights as Israeli citizens; stolen Arab lands are returned and the Apartheid Wall is demolished; and Israel honors U.N. resolution 194, the “Right of Return” of Palestinian refugees and exiles. At this page, you can witness photographs and read stories about the Occupation and BDS. I encourage you to click on the USACBI link and to endorse the resolution to boycott Israeli universities. If you are not an academic, start your own boycott, divestment or sanctions campaign against the Israeli state.